As painting contractors we believe house painting is more than just applying color to a surface. We begin each job by carefully arranging drop cloths and protecting furniture, shrubs, and other objects. 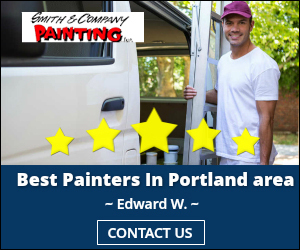 We then scrape, sand caulk and prime surfaces before we paint the walls, ceiling and trim with the best paint for each particular surface. Great house painting can be seen around the windows. First we glaze and fix old windows, fill with spackle or bondo to restore them. Then we will paint or stain the window and then seal. As painting contractors we not only beautify your home, we also help reduce improve your heating costs. We are experts in concrete floor resurfacing and restoration. After we assess the condition of your concrete floor, we will fix cracks and damaged areas with epoxy repair and apply polyurea decorative coating. A non-slip epoxy garage floor looks great, is easy to clean, and will last for many years. We do more than just beautify your property, our masonry waterproofing will also preserve and restore surfaces. First we prime with block filler before we Paint your concrete block, precast and tilt up concrete walls. Then we apply block waterproofing sealer. If graffiti has become a problem on your commercial, industrial, or municipal building, invite a painting contractor to solve the problem. When possible we will remove graffiti from painted surfaces. We can also apply anti-graffiti paint to deter future damage. We clean and paint metal surfaces for both exterior and interior painting jobs. We can pressure wash metal and steel as well as paint clean roofing, walls, gutters, mechanical boxes, railings, fences, and doors. We know how to prepare metal surfaces and choose paint for a long lasting performance. As a professional painting contractor we understand that different surfaces and environmental conditions require various preparation treatments. We apply specialty primers that bond to smooth surfaces, fiberglass, plastic and hard to stick surfaces. We also offer epoxy surfaces to garage floors. Dirt and grime can quickly build up affecting the appearance and quality of your exterior. We offer pressure washing for homes and commercial buildings, as well as fences, sidewalks, driveways, and decks. Reduce falling hazards outside your building by pressure washing the concrete and create a non-slip sidewalk. 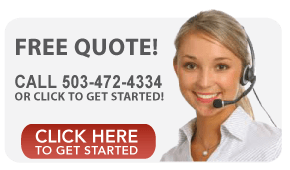 After working for over 50 years in over a dozen Oregon communities we learned the best way to clean and paint exterior stucco on homes and commercial properties. We restore Exterior Insulating Finishing Systems (EIFS), seal cracks and power wash mold buildup.